Vybz Kartel high profile murder case is far from over despite the dancehall star already serving his life sentence for his conviction. 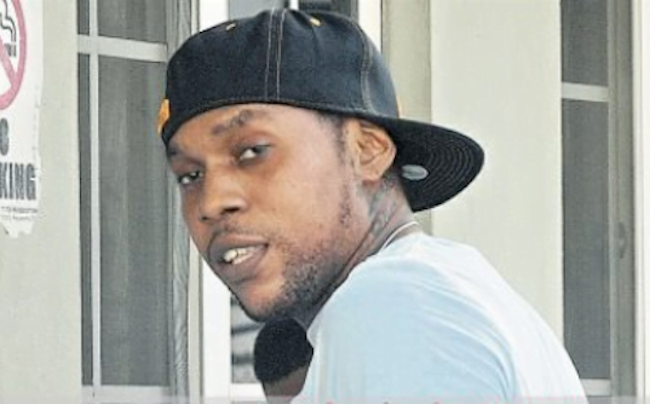 More possible juror misconduct breathe new life into Vybz Kartel and his co-convicts murder case after one member, Dennis Brown, admitted in court yesterday that he works with the Jamaica Defence Force (JDF). While, another juror, identified only as Miss McCleod, was the wife of a police inspector that was working at the court. Brown was giving evidence in the Corporate Area Resident Magistrate’s Court on Wednesday in the trial of corrupt juror Livingston Cain. Cain is accused of trying to bribe other jurors during the high profile trial early last year. Allegations are that Cain tried to bribe the forewoman $500,000 in return for a guilty verdict. This is particularly interesting because under Jamaica’s Jury Act, officers, commissioned or non-commissioned, and regular reserve members of the Jamaica Defence Force are barred from serving as jurors. Dennis Brown told the court that he did not lied about his occupation on his application to sit on the Jury during the Vybz Kartel case. On his application he gave his occupation as an artisan supervisor. 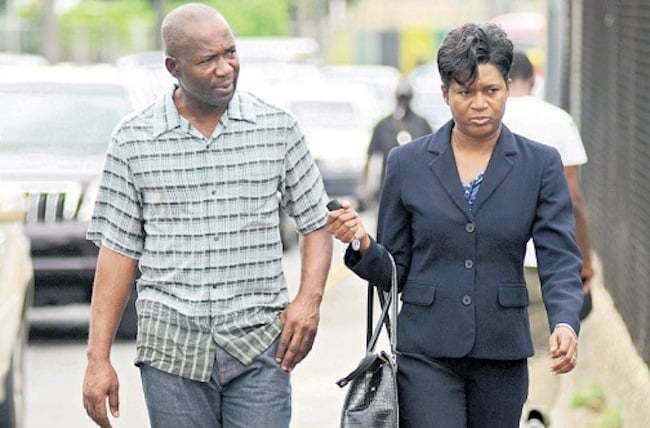 Livingston Cain attorney, Valerie Neita-Robertson, pressed the juror further on whether or not he knew that another juror, Gutzmore Lord, worked for the JDF but gave his occupation as a tailor. “That’s absolutely ridiculous,” he replied. Brown also testified that he knew that Miss McCleod was the wife of a prominent police inspector, but denied that he seek the intervention of the cop to retrieve his motorcar that was impound by Authority. During his testimony, Brown told the court that Cain on more than one occasions told him to return a not guilty verdict because the men are prominent entertainers with a bright future. The police inspector in question was working outside the Supreme Court doing crowd control during Vybz Kartel murder trial. “He [Livingston Cain] said that we should set these men free because they are young men with a bright future and they are prominent entertainers,” Brown told the court. 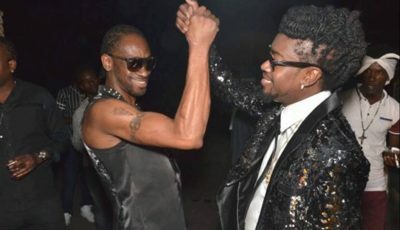 Vybz Kartel, real name Adidja Palmer, his protege Shawn “Storm” Campbell, as well as, his close friends Kahira Jones and Andre St. John are all currently serving life sentences for the murder of Clive “Lizard” Williams. Ann 11-member jury found all four men guilty on March 13 last year. Another man was exonerated of all charges due to lack of evidence. Vybz Kartel will have to serve 35 years before he is eligible for parole. The “Romping Shop” deejay is appealing the conviction. The juror corruption trial continues today. Rules are rules for any case how come they don’t apply for kartels ?????? So, because someone works for the Government or spouse of a Security Force member they can’t be a juror? I served as a juror a little before i retired in the U.S Military on a Child molester case. So, should i have been disqualify because I’M a father and served the Military? I think i don’t remember if had worn my uniform during the trial. U.S justice system is one of the most corrupted and Unconstitutional systmes in the World when it comes to rich,poor and race……..
Don’t forget the men he was imprisoned with. If Adi is released I hope they are too. Don’t forget them Mr.Palmer. There all codefendants. Remember,they tried to break em apart by askin one to snitch on rest,and didnt work. He had choice and didnt take it, real dude. how much more obvious does this have to become? it’s a slap in the face now really. no one is doing anything about this injustice but sitting back and watching what kind of society do we live in? serious question..
becoming MORE and MORE evident that the case is NOT RIGHT!!! I don’t deny kartel had something to do with the murder but I don’t think he was the one that pulled the trigger…..figuratively speaking. Also it seems there’s more corruption in the police force than anything. Hitler never pulled the trigger neither, Osama Bin Laden never crashed the plane himself into the towers. The idea and the seed of evil came from his dark soul. He gave the order, I’m almost certain. It matters not if he people want to defend a serial murderer. Why should he be treated any different than a murderer that has no fame?? He is guilty not only in the eyes of men, but mostly in the eyes of the almighty Yahweh. He will not escape his judgement in this life or the next. He should have cleaned up his act after being blessed with talent and fame. Obama’s attention? Man, some of you guys are crazy!Obama already has his hands full. smh A lot of these developing countries don’t like American’s values but will gladly beg for America’s help. Smh about time you catch up, urban islands lol. I remember taking that picture, punk!???? In america or anywhere else this case would have thrown out already too much problems and corruption from police and juror. Even if Kartel did kill someone the corruption on the other side put doubts in my head. They never proved it, and thats all that matters.